You may have noticed recently that the organic reach for Facebook pages has essentially become extinct. If you don’t believe me, go scroll through your feed and see how many posts you see from pages that are not sponsored. On the other hand, posts from GROUPS are blowing UP my feed. I’d say at least 50% of what I see in my feed comes from groups! I believe this is happening because groups are a normal way for humans to be social together. Social media is intended to be social. A way to connect with other humans. Humans group around common interests. Groups. They’re just what we do. And although I think that Facebook groups offer some great opportunities for marketing, I believe that the interactions need to be social first. Even in the groups that are sponsored by a brand, when someone interacts you hear from a PERSON. Their personal profile on Facebook! I think we’ll continue to see the growth of groups on Facebook, and I think their reach will eventually decline because of saturation and abuse, but hopefully groups are here to stay for a while. This is a list of my favorite photography groups on Facebook. It isn’t an exhaustive list, and I’ve left out some of the huge groups that are loosely managed. Some of the groups listed are very small, but I feel that they are very well managed or have a unique spin on their topic. There are a few great groups that I’ve only recently joined, so I’ll add them to the list after I get a feel for how they work! I do want to make sure this is a curated list, not just a big list of every group out there! If you have a favorite that isn’t on this list, make sure to leave a comment and explain why you love the group! I’ll be sure to check it out and keep the list updated as I find new favorites. 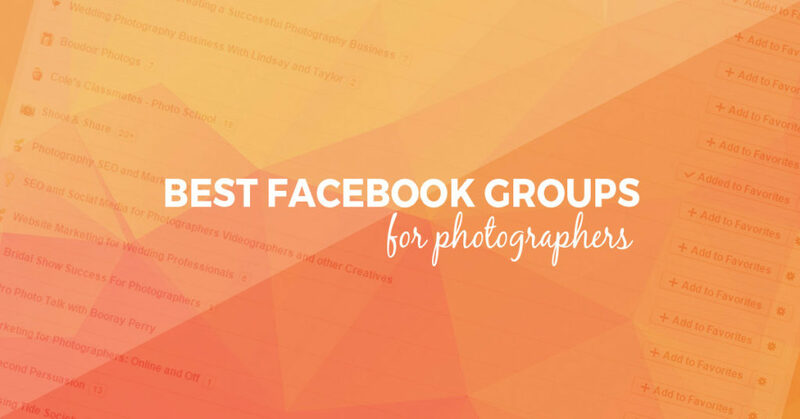 So without further ado, here is my list of the best Facebook groups for photographers! Of course, I might be a little biased, but I think the Fuel Your Photos group is one of the best Facebook groups for photographers. Especially if you want to learn about SEO, websites, and marketing for photographers. Heavily moderated to keep things on topic (but don’t be afraid to ask ANY photography business question), and every question gets an answer! This group acts as the free community that goes along with the Fuel Your Photos website (which you are currently reading). This group always inspires me to be creative. Managed by by Easton Reynolds of Lurey Photography, this group is a place to showcase your “second shot.” You know, the one you took after you got the safe shot out of the way. The shot you REALLY wanted to take. The best part about this group is that it challenges you to think outside of the box, pushing yourself to your creative limits. Thinking outside of the box is great, but sometimes you just need to stick to the proven fundamentals of photography! This group is frequented by some of the most renowned photographers in the United States. Photographers who have been doing this for MANY years and have won countless awards. If you’re looking to be inspired by consistently excellent photography and you want to learn the rules of business that have been proven with years of experience, this is the group for you! I joined the PhotoBizX group earlier this year after I was a guest on the podcast, and it has quickly become one of my favorite groups on Facebook. I love this group because it is an eclectic group from around the world and the topics are all over the board but almost always good. Andrew really cares about the members and takes the time to answer questions and encourage interaction. Not only that, but there is CONSTANTLY new members-only content fueled by the podcast. This is currently the only paid group on my list, but in my opinion it is well worth the money. If I were forced to choose, I’d leave many of the other groups just to stay in this one. The link provided is an affiliate link, and if you join I will earn a commission. However, the first month is only $1, and there are no contracts, so don’t take my word for it, you have nothing to loose! This group is all about WordPress for Photographers. The nice thing about this group is that you can ask general WordPress questions, regardless of which theme you are using. The group is run by Scott Wyden Kivowitz, the community wrangler over at Imagely. He also co-hosts the WordPress Photography Podcast. A group by Melissa Love at The Design Space. Melissa is a master of photography websites and sells beautiful templates on several popular platforms. She is highly knowledgable in WordPress, Showit, ProPhoto, Divi, and more! I love this small group because Alexandra (from Idalia Photography) posts very intentional prompts to help keep you on task with your blogging. Join this group if you are looking for accountability and a group of photographers to encourage you to step up your blogging game! 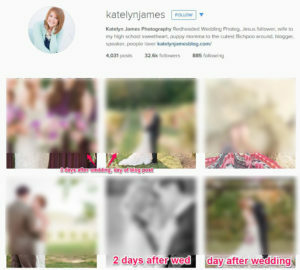 This is a group for photographers who are using Flothemes, and you may need to be a Flothemes customer to join. However, I wanted to include it on the list because it is an active community and they frequently share helpful website resources. Video is SUCH a valuable tool for marketing your business, and this group is all about challenging you to get in the habit of creating videos. Lots of great examples and specific ideas that will help you get the ball rolling! A great group if you are looking for inspiration for your next bridal show booth, or want to learn specific strategies for booking more weddings from bridal shows. This is a great place to learn all about in person sales. You’ll also find motivation when you see other people posting their success and showing you that it IS possible to make more money as a photographer! This group is the official Boudie Shorts Community run by Molly Marie. If you are a boudoir photographer, you do not want to miss this group! If you are looking for resources on keeping your business legal, The Law Tog has you covered! The group does not provide legal advice, but there is always someone there to point you in the right direction, and if you are lucky, Rachel Brenke herself might even answer a question for you. This group is a great resource if you want to get notified about upcoming workshops for photographers all around the world! The SLR Lounge is a great source of education for photographers, and their Facebook Group does not disappoint! This is a group of photographers who believe that every client deserves to have their story in print! It is the official Fundy Designer user group, but the topics range from photographic technique to business. The Tribe Archipelago group is a showcase for images edited with the Tribe Archipelago Presets. I love this group because it keeps me up to date with the newest trends in editing, and I am always interested to see how other people use presets to edit their photos. I’ve really been enjoying this group lately. Louise is very real with her posts, and each one challenges me to really think deeper about my photography business. This is a small and intentional group, so don’t join it if you aren’t serious about improving your photography business. If you don’t know Phillip and Eileen Blume, you’re missing out! This group requires you to join their community via email, but you’ll love the quality of the education, and the like-mindedness of the people who make up this group. Check out their sign-up page and if it clicks with you, you’ll love this group. When I am feeling too serious about life, I always love to go check out this group or listen to the PhotoBomb Podcast. The conversation can be a little colorful sometimes (not the group for the easily offended), but if you enjoy a little humor along with your photography, check this group out! Paul and Melissa run a successful photography business and started this group to share their experience and knowledge with other photographers. This group is a no BS zone and covers a wide variety of photography topics, with an emphasis on creating a profitable photography business. I appreciate this group because Megan offers consistently solid advice via live video and frequent posts. The conversation is usually geared toward a more experienced photographer who wants to offer a luxury service, but everyone is welcome and the group is a place to learn together. 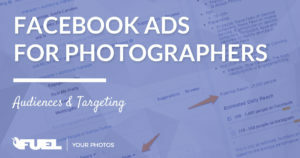 If you are going to be joining photography groups, make sure your Facebook profile says that you are a photographer, or at least interested in photography. I am an admin in several large groups and often we will not approve new members because from what we can see, they are not actually photographers at all. You should be doing this anyway, but it is especially important for getting approved into popular groups. 1. Look for small local groups! This post was about the best national/international Facebook groups for photographers, but sometimes the best interaction comes from the very small groups of photographers who live right next door! 2. Read the group rules first thing when you join! Make sure to abide by those rules and only participate if you plan to be part of the community! 3. Be active in a group on a regular basis if you want to keep seeing it in your feed. The Facebook algorithm not only knows which groups you participate in, but which topics you like to discuss in those groups. If you’re in a massive group of 15,000 people, but you only comment on posts about SEO, you’ll probably see mostly SEO posts pop up in your newsfeed. 4. Use the notifications settings! If you want to see EVERYTHING that gets posted in a group, use “All Posts.” If you want to get notified when your friends post AND when Facebook thinks you’d be interested in a post, choose “Highlights.” You can also get notifications only when friends post, or turn the notifications off (you’ll still see posts in your feed, you just won’t get notifications). 5. Be careful what you say. Remember, just because a group is “Closed” doesn’t mean that you can say anything without consequences. People are watching and you are still representing your business and personal reputation. 6. Clean up your groups. If you just aren’t clicking in a group, leave the group. Every group has its own “vibe” and if you don’t align, it can really drag you down. Be yourself. 7. Don’t self promote without first adding value! Some groups have strict rules, and others don’t. However, you should always try to be in a giving/helping mindset, and not exclusively trying to seek personal/financial gain. 8. Send a friend request to people you really get along with. If you end up commenting/conversing with the same person frequently, send them a friend request and get to know them personally. 9. Take your networking to the real world. Use groups as a way to strike up conversations at conferences and other photography get togethers! Leave a comment with your favorite Facebook group. It doesn’t have to be specifically for photographers! What relationships have you built by being part of the community? Do you have any success stories for your business that are a result of being in a Facebook group? What are your pet peeves when it comes to groups on Facebook? Got any awesome tips to add? I’m a big on participating in Facebook Groups. I think it really helps us photographers stay connected. With that said, there were a few you recommended that I’m not in yet so thanks for those! Smart as always! I haven’t heard of so many of these, I’m missing out! I haven’t heard of a few of these and I’ll probably check a couple of them out. I agree that groups are pretty much the only reason I still interact on facebook and I love what the group can bring to your business and education. Glad to be a part of your group as well and I think the tips you mention at the end of this post are spot on! Great topic for a blog post! I’m going to check out these groups. Also, good advice! Thank you! Love this post, thanks for sharing! I will definitely check some of these out! I learned of a few new groups I should be checking out! Thanks for this post! This is great! I hadn’t heard of a few of these before. I’ll be checking out some of them! An excellent post – can’t wait to check out all of these groups! Rocky Mountain Decals – wall decals for kids, and kids at heart! Thanks for these suggestions, definitely checking out a few! One group that I’ve been liking recently is Rising Tide Society, lots of good stuff on a range of topics. The important thing I’ve noticed with Facebook groups is that i have to manage my time on there. I can get extremely distracted, calling it “work” but I’m not really working! Thanks for checking out the list! I actually included RTS in the previous version but removed it this time around just because it has gotten SO big and has much less of a photography focus now (even though the largest demographic in the group is still photographers). I love the group, but just felt like it was hard to categorize as a photography group at this point! Great list. Will definitely check these out and thanks for sharing. Great list, thanks for putting this together Corey. I’m rapt to have PhotoBizX featured and especially love what you had to say about the group – it’s a pretty special place to learn and hang out. There are a bunch of groups here I’d never have found and coming with your recommendation has made this super easy. I’ve just sent of a couple of requests off – looking forward to learning more and meeting some cool photographers and business people. You’re welcome. I’m lucky to learn from an example like yours! Great list! And I like the reminder to leave those groups that don’t fit my photographer interests any more! I have some cleaning to do!! Thanks for doing the research. I have no doubt that some of these groups will be of great help or inspiration to the growth of our business. Great list – I just joined 3 that I didn’t know of. If you ever update this we’d love to be considered at the Digital Photography School group. We’re newish (just a few months old) but it’s got a growing little community going and we’re evolving it and improving it where we can. Wow, that moment when you see “Darren Rowse” in your comment notifications. I’ve been following ProBlogger since the year after you started it! Thanks for stopping by! I joined your DPS group and I’ll be checking it out. Ohh nice additions! I’m excited to check them out! Of course! I get so many people asking about a blogging group, and I love your heart and motivation, and I’ve been especially impressed at how consistent you have been even with a “small” community. That is the kind of group that deserves to be discovered! Great list! Thanks for including “Rise to the Top! With Megan DiPiero.” My fave groups are all on this list. Much love for In Person Sales group, Inside the Box group and Photo talk with Booray! Now I’m going to go join Fuel Your Photos! Thanks for this great resource! Excited to have you in the FYP group! Thanks so much for all of the hard work you put into making Rise to the Top! awesome! Thank you for this great list! I am already in a couple but a number of others sound very interesting! Thanks for including us in this list. Love to see that people are learning from what we are doing. Thank you! Thanks for listing our Inside the Box Photo Group! We work hard at keeping a positive environment and verify each of our over 10K members as pros or aspiring pros. We consider ourselves in great company with these other awesome groups! You are welcome! Your group has impressed me since day 1. I’m in dozens of photography groups and I’ve never found another one quite like yours. There is really something special about it, and I think that comes from the wisdom (not just experience, but experience over time) found in you and your active members! Great article! I’ve been managing and / or hosting photography groups since 2013. It’s been quite an experience creating community to help people get the most out of our industry and have questions answered when needed or just to share progression of work. One of mine is Headshots with Lori Patrick where we are working with the standard headshot to learn the most basic portrait skills and have a resource to start a business that could lead into other sectors quite easily. In 2017 I have created two spin off style groups for Business Portrait and Live Performance. Looking forward to see where the expansion of discussion takes us this year. I just added you to the headshot group so you can take a look Corey. Awesome! Looking forward to checking it out! Thanks for sharing your groups! I am always a bit skittish about joining because of being associated with “those people”. You know the comments. I will use this list as a reference source! What a fantastic list of groups, I have discovered quite a few here that I am looking forward to checking out. And very humbled to have my own included. Thank you for taking the time to put this list together Corey. Some really valuable advice here thank you! I’m a member of about 600 Facebook groups, mostly in the wedding and photography space within Australia. 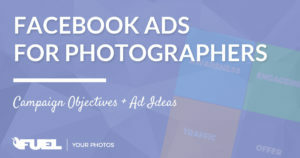 We recently published our top 65: http://www.wedlockers.com.au/home/65-wedding-groups-on-facebook/ The advice regarding adding value before self promoting within Facebook groups is a goodie. Great post very helpful for us.